Tracee Ellis Ross attends the Marie Claire's Image Makers Awards 2018 on January 11, 2018 in West Hollywood, California. Tracee Ellis Ross went the sporty-chic route in a red track jacket by Valentino at the 2018 Image Makers Awards. 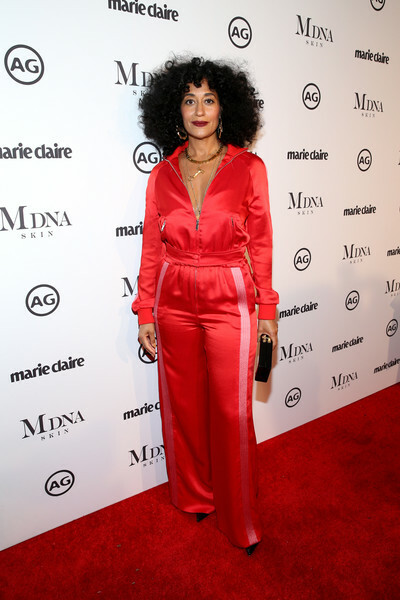 Red satin pants with pink side stripes completed Tracee Ellis Ross' matchy-matchy look.